sometimes i think the analogy of the trojan horse is a little too abstract for people, especially when it comes to explaining the more ambiguous instances where the trojan horse program isn't actually malicious in itself but simply presented in a false light with a malicious intent (the example i often use is that of FORMAT.COM renamed to SEXYFUN.EXE). this example i hope is a little more concrete and easy to understand. a fire alarm is by no means a bad thing in and of itself, in fact it's a very important and desirable thing to have when there's a fire. 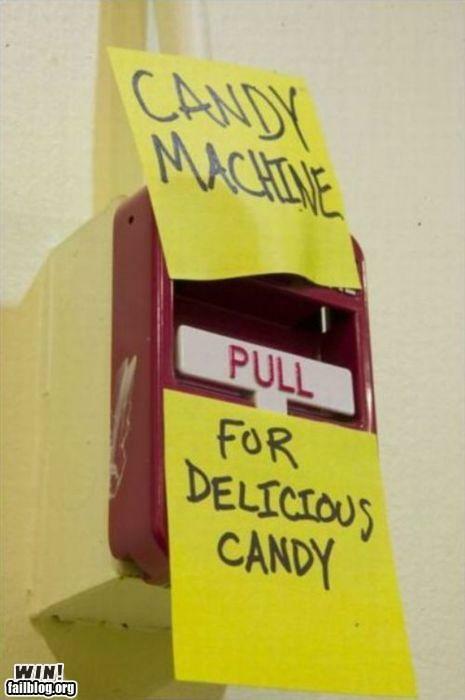 but if you dress it up like a candy dispenser, all hell will break loose when children come by. 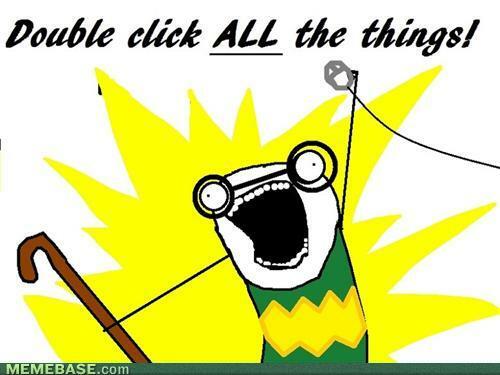 i don't mean this in a figurative way - everything in the online world is recorded, literally. it's how the medium works. a recording is made in the computer's memory of the sounds you make, the images you present to the camera, the words you type, the links you click, etc. (depending on what exactly you're doing online) and a copy of that recording is sent along a path to whatever it's final destination is supposed to be. at some later point that recording and maybe even the copies (though it's impossible to be sure with the copies) are deleted or overwritten, but recording (and thus 'the record') is a fundamental and unavoidable part of online interaction. 'off the record' simply can't exist there. ignoring the reputation of the source for a moment, this highlights an issue that comes up more times than you might think - who watches the watchers? unfortunately the answer seems to be "nobody" most of the time. 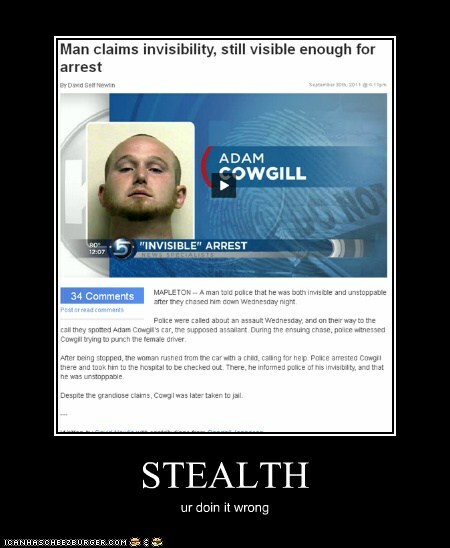 let's face it, nobody is that stealthy - not even ninja's. whenever anyone tries to be stealthy, there are still ways to see what they're up to if you know what to look for, whether it's a guy in camouflage gear or a piece of malware that masks it's presence. the only way to really not be seen is to not be in the places people are looking for you. 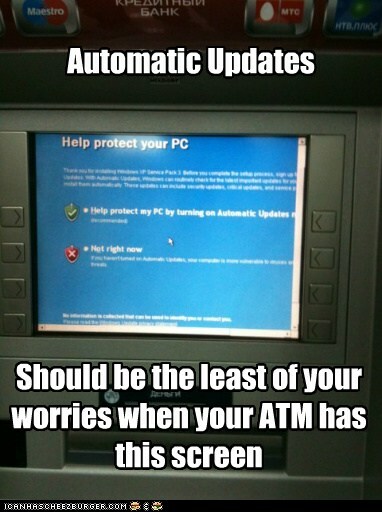 windows in an ATM, and automatic updates haven't been enabled yet? i wonder what other security precautions have failed to be enabled. 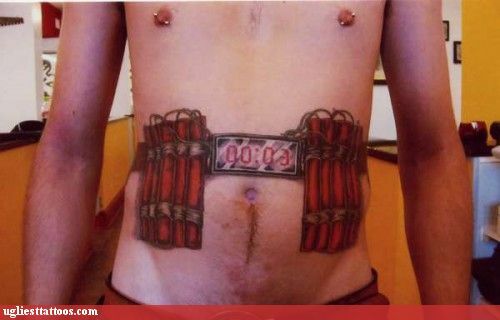 one of the things my mother taught me was that i should never wear anything on my wrist that is worth more than my arm. 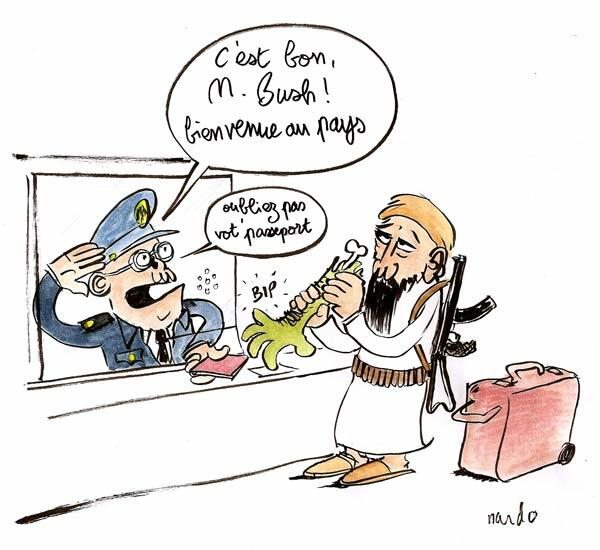 the idea had to do with theft of property, but as this comic shows there's a related issue for biometrics. people keep saying your biometrics can't be stolen but that's not really true - they can be stolen, and such theft can be messy. i'll be honest, when i first saw this i didn't see what the big deal was. partially that was because i had to scroll down to see the entire image, but also because the safety hazard here doesn't really stick out that much due to it's small size. 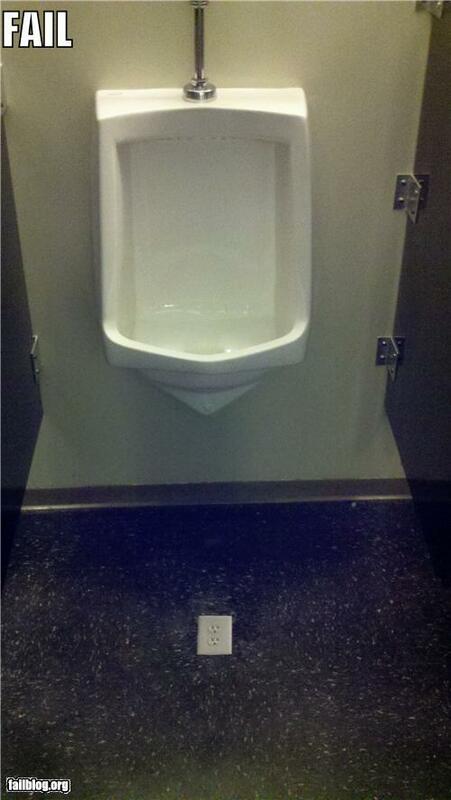 i suppose if i went in there drunk and with poor aim, the hazard might become shockingly obvious. the difficulty recognizing subtle forms of danger is a recurring theme in security. 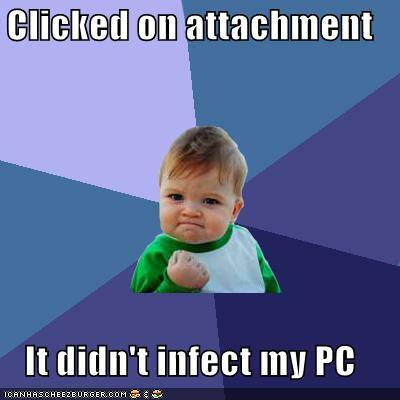 that's why tricks like phishing or telephone support scams or malicious email attachments (to name just a few) work so well. no matter how complex and sophisticated you make your security controls, human error can always result in undesirable consequences. this comic is quite effective at presenting human error as equally matched against the collection of every security control you can think of. usually the point of a peephole is to allow you to see who's at your door without letting that person know anything about you (including whether you're even there). 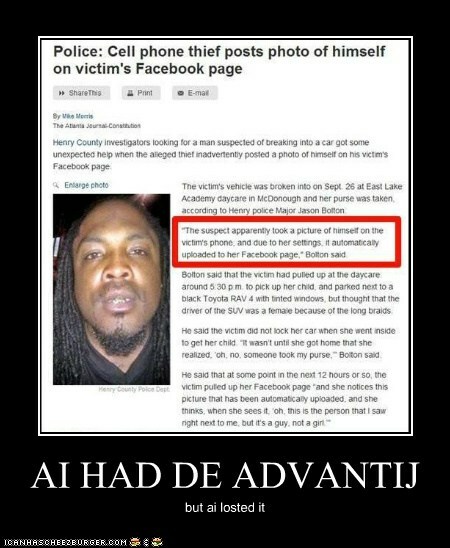 it's a tool made with privacy in mind. that privacy kind of goes out the window when you've got a big fat window right beside it. 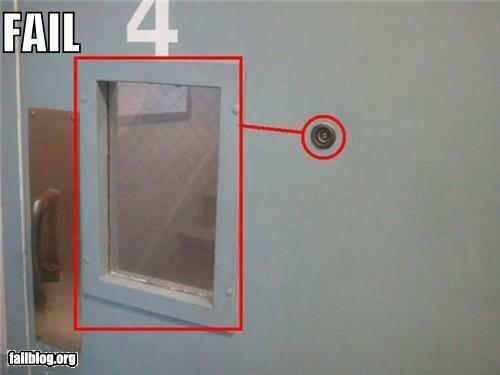 more to the point, however, a peephole really has no purpose on the door to a stairwell. privacy tools can be very useful, but not when they're put in places that don't make sense. i suspect one of the things preventing people from grasping the privacy consequences of their online activity is that in the offline world people consider themselves to be in private when there's no one else around, and since there's often no one else around when they go on the internet, that sense of privacy persists even though it really shouldn't. 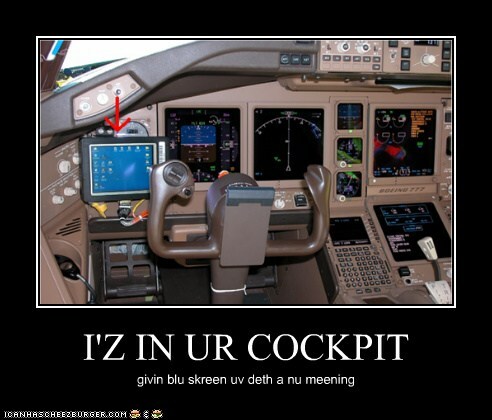 thanks to @mikko for posting a picture of a 777 cockpit with a windows device in it. we've seen some low tech skimmers here before, but i think this takes the cake. 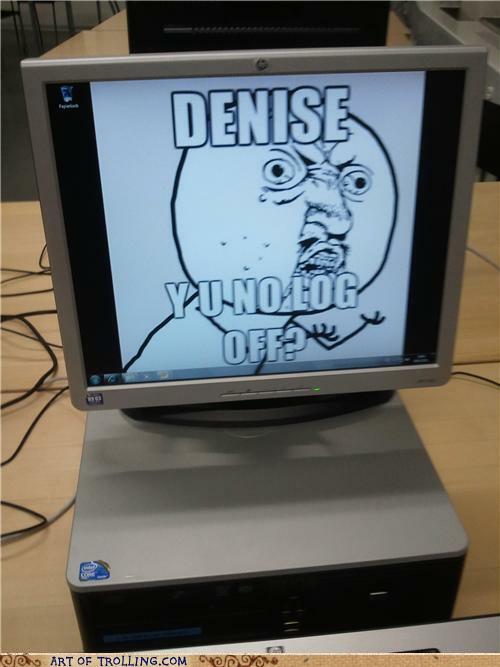 Y U NO Log Off? 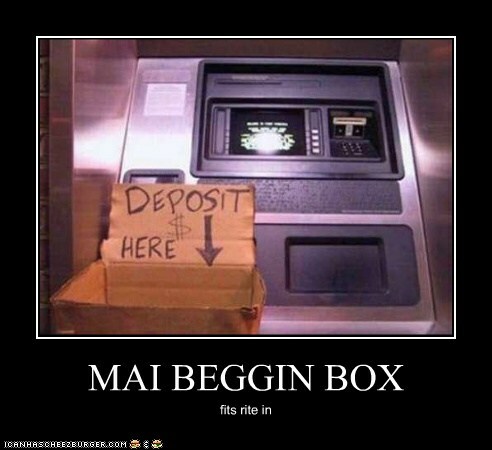 clearly good advice to be had here, but will the account owner ever actually see this public computer again? who knows. 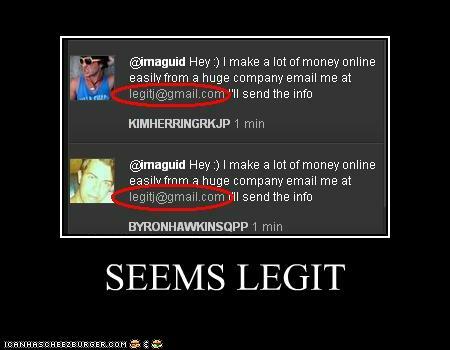 because putting "legit" in the email address just makes it seem so much more legit. this is, if nothing else, an illustration of why you should be careful about who you trust on the internet - not just when you're going to meet them in real life, but whenever you do anything at their prompting. 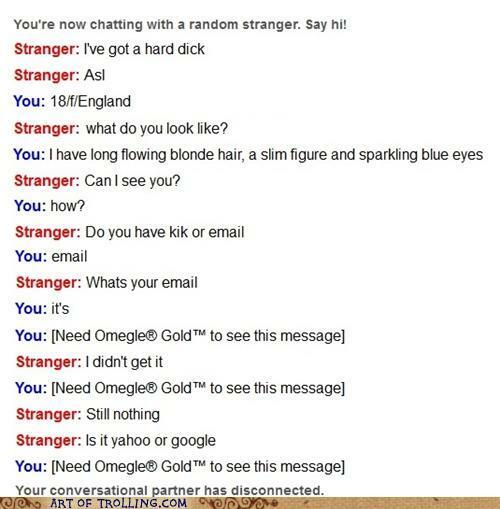 the internet can be creepy - watch out for the creeps. 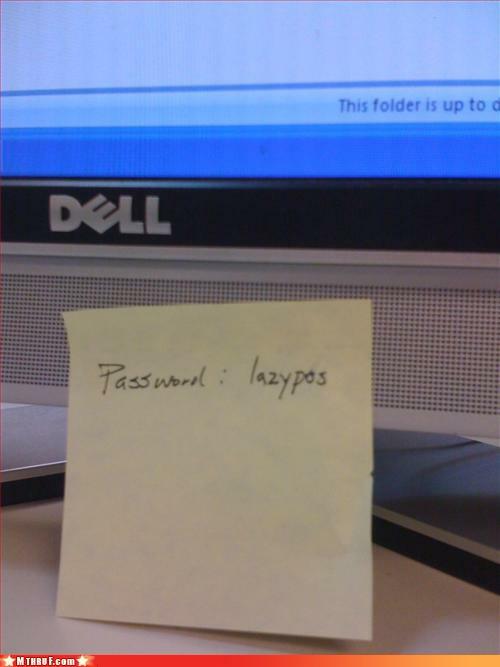 i don't think this needs any explanation, but it's still nice to see i'm not the only one who makes puns out of security breaches. 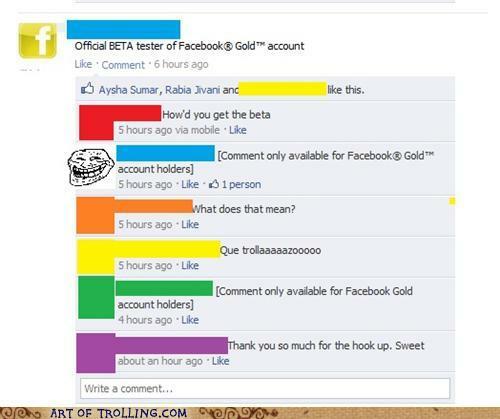 and here we have a wonderful example of how hard attribution can be. 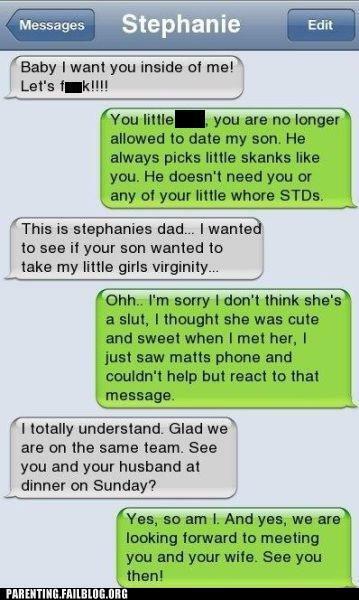 pop-quiz: is it really stephanie's dad talking? how can anyone tell? it could be that stephanie is just a really clever liar. now, instead of a mother who's son has regrettable tastes, imagine this was a nation state trying to attribute something that happened on a computer using about the same amount of information as is available here. it's hard not to consider cyberwar ridiculous when viewed through this lens. if you've ever wondered what the big deal about search history privacy is and why it's important that search data be anonymized, i think this example spells that out pretty plainly. 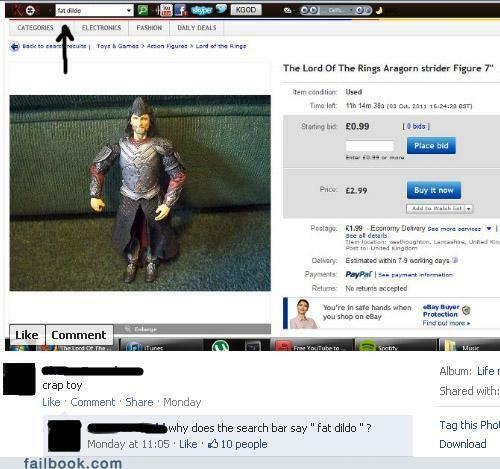 nobody wants to know where you plan to stick aragorn figurines. if you think nearly two dozen prostitutes constitutes a normal level of contraband slipping through the cracks of prison security, then you might be a security idiot. if you think a security measure that is less accurate than a coin toss ever had any place in an airport then you might be a security idiot. umm, yeah, i'm not sure how anyone could have made such a boneheaded mistake unless one of the stipulations for this cracking challenge was "no peeking". if you antagonize a group with more military training and experience than you, then you might be a security idiot. on the one hand, i finally found the builder for making multi-image comics (was doing it by hand before and i think it showed). 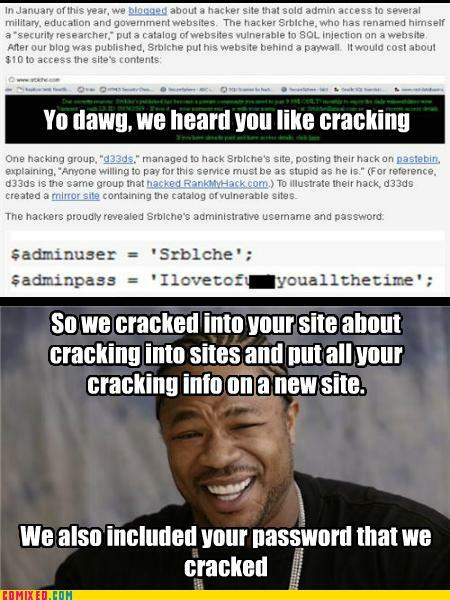 on the other hand, yet another security company calling cracking "hacking". it's always seemed kinda funny to me that buildings which you'd expect to be high security venues (like a bank) would go for the modern look and have glass doors and replace exterior walls with glass. if people can break through that barrier without even trying you better believe that people who are trying can get in. yup, that pretty much seems to be what parents do. if only there was a way to get them to remember not to do that. 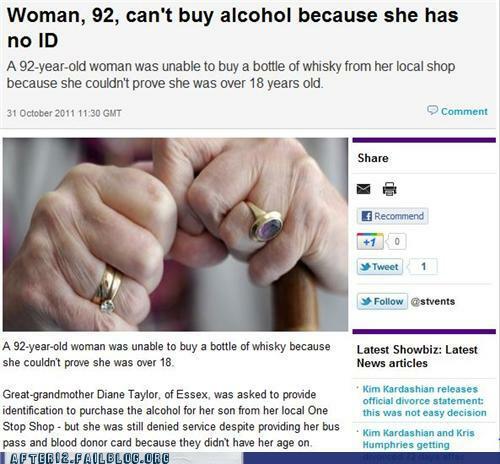 unfortunately memory is one of the things people often start to lose as they age, and that suggest that some people may never be able to defend themselves online. 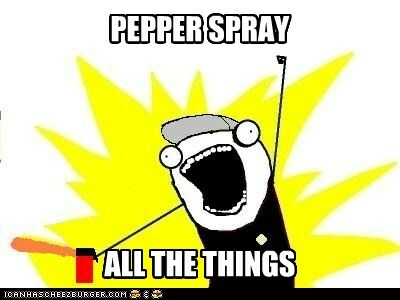 i'd definitely like to use this one more often. gotta find the template. don't think this qualifies for success kid? 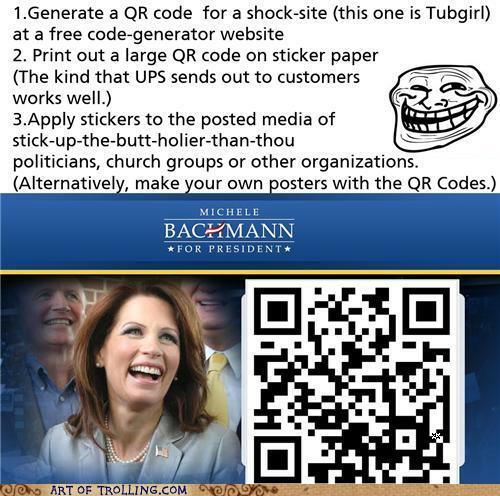 how many people have tried this and failed? yeah, i thought so.